New analysis evaluates the performance difference of the principal guarantee from a guaranteed minimum accumulation benefit on a variable annuity compared with fixed indexed annuities. This independent analysis was sponsored by New York Life. In this paper we employ a lifecycle model that uses utility of consumption and bequest to determine an optimal Deferred Income Annuity (DIA) purchase policy. We lay out a mathematical framework to formalize the optimization process. The method and implementation of the optimization is explained, and the results are then analyzed. We extend our model to control for asset allocation and show how the purchase policy changes when one is allowed to vary asset allocation. Our results indicate that (i.) refundable DIAs are less appealing than non-refundable DIAs because of the loss of mortality credits; (ii.) the DIA allocation region is larger under the fixed asset allocation strategy due to it becoming a proxy for fixed-income allocation; and (iii.) when the investor is allowed to change asset-allocation, DIA allocation becomes less appealing. However, a case for higher DIA allocation can be made for those individuals who perceive their longevity to be higher than the population. Data from the CANNEX annuity pricing and analysis service shows that different types of annuities with equivalent benefits provide higher income guarantees depending upon gender, how long income is delayed, and whether it is for a single person or a couple. Data from the CANNEX annuity comparison system shows how the two types of fixed annuities behave very differently based on strategy and crediting method. This paper summarizes an enhancement to a patented methodology that optimizes a withdrawal strategy from an investment account to support sustainable income in retirement. Originally developed in 2011 by Moshe Milevsky and Huaxiong Huang, this retirement spending policy uses stochastic control theory and dynamic programming to adjust withdrawal rates based on market performance as well as an investor’s risk preference and mortality. In this paper we propose a scoring methodology for VA transactions that is intended to improve current evaluation practices – and empower financial institutions, their advisors and clients to make more informed decisions about annuity transactions. This report provides a comprehensive review of Income Annuity sales from 2012 through third quarter 2015 and representing contract-level data from 22 manufacturers (83 percent of the industry). 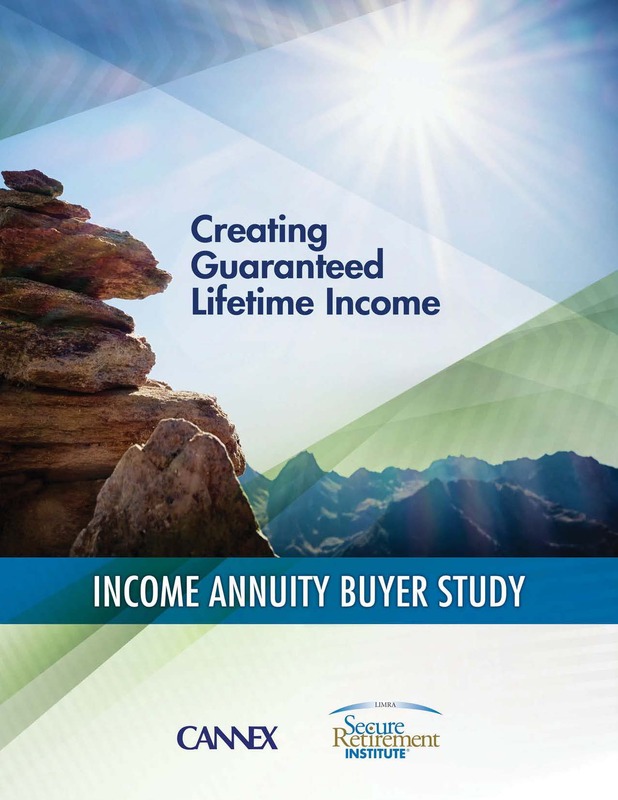 The 2016 Income Annuity Buyers Study was conducted by the LIMRA Secure Retirement Institute in partnership with CANNEX. Details around product features and buyer demographics are provided along with insights on purchasing behavior and trends. With a myriad of investment and insurance products available in the market to address retirement income concerns, the new challenge is answering the question: Which of these products are suitable and in what proportions? This document examines the risks in retirement, explains the concept of product allocation, and shows how to apply this new approach to retirement income planning. Carriers continue to add many features to the income annuity to help broaden their appeal. This joint report by CANNEX & LIMRA provides details on which features are currently available on both immediate and deferred income annuities. This paper by H. Huang, M.A. Milevsky and T.S. Salisbury offers a financial economic perspective on the optimal time (and age) at which the owner of a Variable Annuity (VA) policy with a Guaranteed Living Withdrawal Benefit (GLWB) rider should initiate guaranteed lifetime income payments. Huang is a Professor of Mathematics and Statistics at York University, Milevsky is Associate Professor of Finance, York University, and Executive Director of the IFID Centre. Salisbury is Professor of Mathematics and Statistics at York University, all in Toronto, Canada. 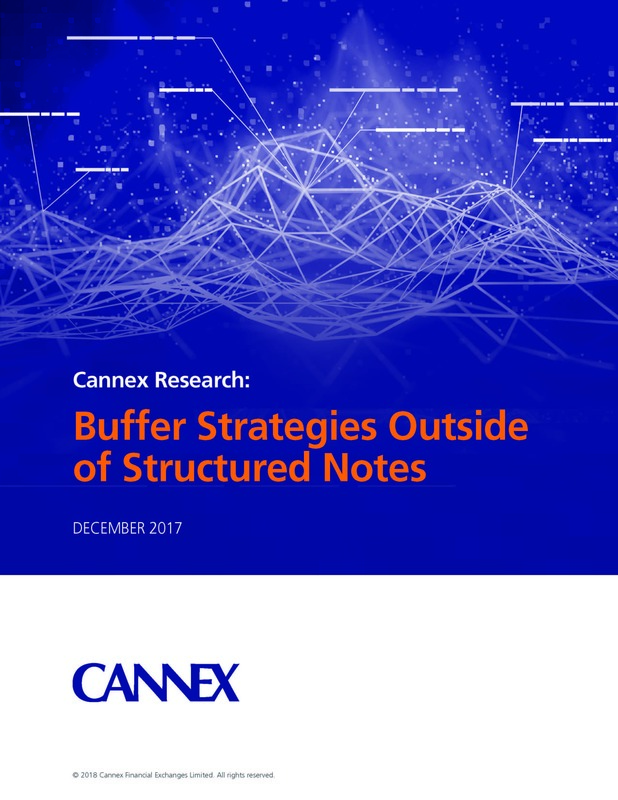 This joint report by CANNEX & LIMRA report examines the various forms of liquidity currently available in the market for clients who are living and actively managing their retirement portfolios. Seven of the top 10 participating companies offered a liquidity feature for their 2010 income annuity sales. 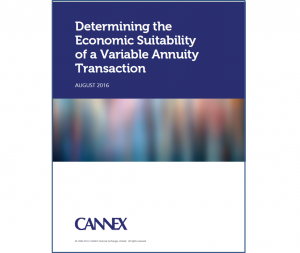 This original report by CANNEX provides details on which features were available on Single Premium Immediate Annuities (SPIA). In this paper by M.A. Milevsky an index is developed for tracking the dynamic behavior of life (pension) annuity payouts over time, based on the concept of self-annuitization. The implied longevity yield (ILY) value is defined equal to the internal rate of return (IRR) over a fixed deferral period that an individual would have to earn on their investable wealth if they decided to self-annuitize using a systematic withdrawal plan. A larger ILY number indicates a greater relative benefit from immediate annuitization. In this paper we offer a novel method of assessing whether exchanging one variable annuity (VA) policy for another, destroys or adds value from a purely economic perspective. We do this by decomposing the policy into a portfolio of financial options and then use an option pricing model to compute the difference in aggregate value between the embedded options in the new and old VA.